VMware View supports Kiosk Mode which transparently connects a locked-down endpoint, typically a thin or zero client directly to a virtual desktop session. When using Kiosk Mode, users are not required to manually launch a VMware View Client and enter credentials as all configuration and provisioning is executed in background when the endpoint is powered on and the user is presented with a familiar interface; a dedicated kiosk virtual desktop session or application. Configuring Kiosk Mode does require some additional configuration steps on the View Connection Server. Specifically, the command-line utility vdmadmin must be used to enable kiosk mode and to create AD accounts. You can create kiosk accounts based on the MAC address of the endpoint but in this example, I have chosen not to do so. 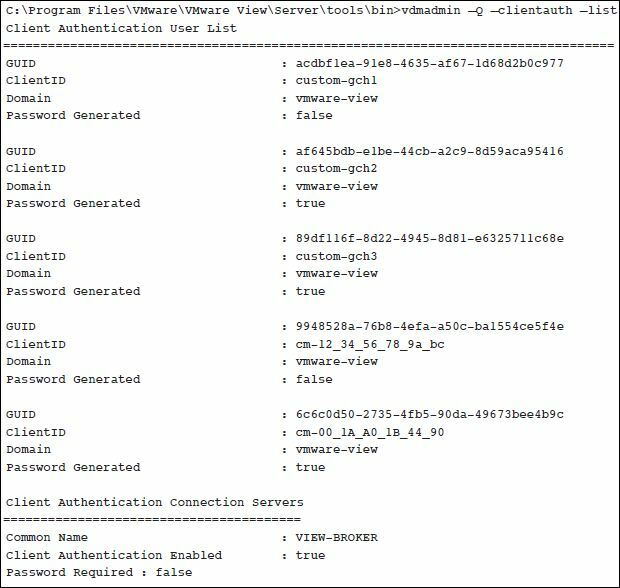 VMware View requires that all AD accounts to be used for kiosk mode authentication begin with “custom-“.